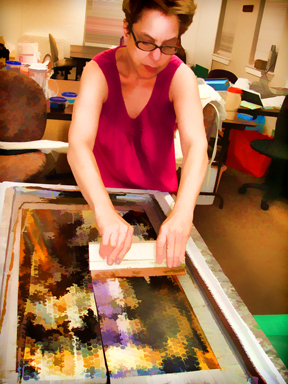 The month-long exhibit and sale "Art in Fiber 2013" (juried by Karey Bresenhan) will open on Saturday, February 2, 2013, from 2 to 6:00 p.m. Linda Teddlie Minton, Susan Fletcher King and Connie Fahrion will each have work in this exhibit. This annual fiber show is held at the Copper Shade Tree Gallery, Round Top, Texas. Be sure to mark your calendars; we hope to see you there. 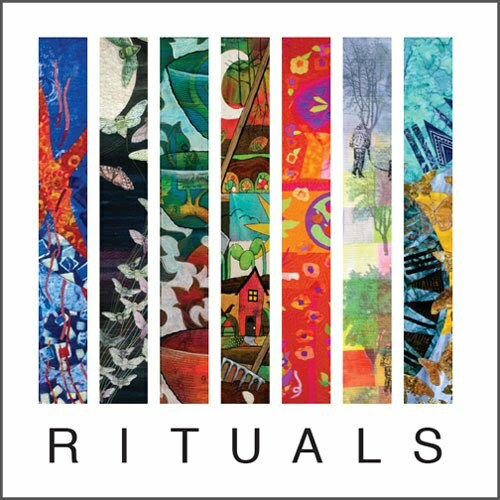 The invitational exhibit "Rituals" (created by Dinner@Eight's Jamie Fingal and Leslie Tucker Jenison) was so well received at the Houston International Quilt Festival this October/November 2012 that it will fly across the pond to the 'Open European Quilt Championships' in the Netherlands. Show dates are May 3-5, 2013. Both Susan Fletcher King and Linda Teddlie Minton have work in the exhibit. 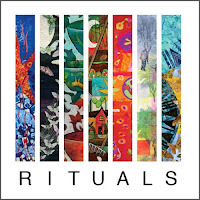 You can buy the Rituals book here. The current Artists in Residence at the Houston Center for Contemporary Craft are having an exhibit just down the street from the HCCC. The show features new works by Tarina Frank, Chanda Glendinning, Susan Fletcher King, Jaydan Moore and Robert Thomas Mullen. It's a "pop-up" show, only open for two days, so mark your calendars and don't miss it.